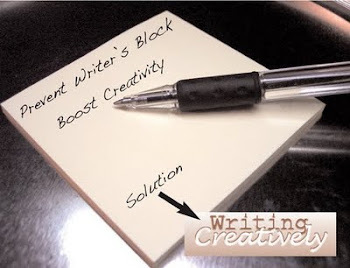 Writing Creatively: How To Write How To Articles and How They May Be Your Roadmap to Writing Success! How To Write How To Articles and How They May Be Your Roadmap to Writing Success! 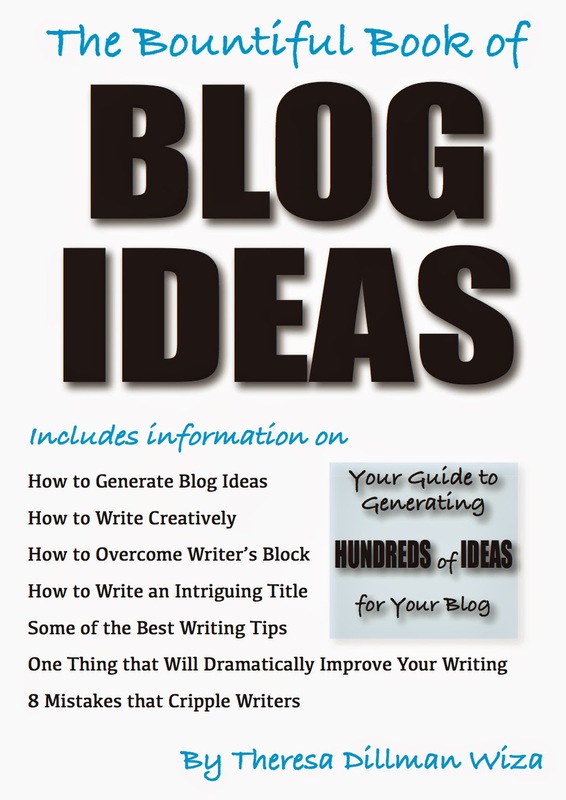 Most writers know that the words, “How To,” generate a significant number of responses. 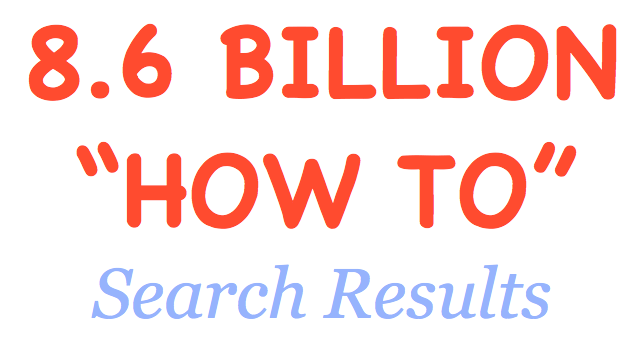 Plug “How to” into Google and an astounding 8.6 billion results appear! Of everything I’ve written since I started writing online, the posts that get the most reads are the How To articles I’ve written. So with so many How To articles already on the web, how can a writer compete? The short answer is to give your readers what they want. If you want to write How To articles, look at what YOU can contribute that’s different from anything else your readers can find. In 2012, when I bought a skein of Red Heart Boutique Sashay Yarn, I read the label for instructions on how to crochet with it. I’d never seen anything like that type of yarn before. The instructions, however, were intended for knitters. So I made up my own technique and I shared my instructions on my All Craft Connection blog. The title I chose was one I looked for in my own search, and it’s the title I gave my blog – How to Crochet with Red Heart Boutique Sashay Yarn. To date, that blog is my most successful All Craft Connection blog. You don’t have to include the words, “How to” in your title, though. As long as you offer your readers something they need and as long as your title conveys a message that will fulfill their needs, your title can read something similar to this title I wrote, Has Your Work Been Stolen? Here’s What to Do! It’s a How To article without the How To words mentioned in the title. The most important thing to remember in creating How To articles is to include words that your readers will most likely search when they look for someone with your expertise. Any time you design, create, or innovate something that you know others would appreciate learning, write a How To article and teach them what they want to learn. Time saving, money saving, or life saving techniques are all good examples of How To articles you can write if you can truly offer readers information they’re seeking that they haven’t already found elsewhere. Have you come up with a new exercise program that works wonders for your mind, body, and spirit? Think of what someone would enter into a search engine. For example, someone might write, “exercises for mind, body, and spirit.” Your title could read, How to Exercise Your Mind, Body, and Spirit or Exercises That Work Wonders for Your Mind, Body, and Spirit. Anybody looking for that type of information could come across your blog. As long as you reveal in your title exactly the information you are trying to convey in your article, and as long as you deliver on the promise you made in your title, you will have targeted your intended audience and you will reap some benefits – readers! Still unsure of what you can contribute to the How To world? Think about what you have to offer your readers. Look at your interests, hobbies, skills, and experience. Where, among all these things, are you most passionate? What have you learned that you think you can teach others? How are your methods different from anything else being taught? Just recently I created a unique style of crochet. I had been thinking about implementing the thought I’d had for a couple of years, when one day, I decide to just try it. Without getting too technical, it involved creating a chain from a ball of yarn, rolling the chain into a new ball of yarn, and then using that chain to crochet a cowl. The effect turned out even better than I thought it would, so I came up with instructions for the new way to crochet and wrote, Chain Crochet – Crocheting With Chains – a Crochet Experiment. I didn’t stop there though. I also wrote a blurb on a different blog, my Crystal Butterfly Creations blog – Have You Tried Chain Crochet? I linked to the original article and thereby expanded my readership. If you have more than one blog and your title fits with the subject matter in your other blog, link your blogs together. Also, if you think your post would generate any interest on Pinterest, Pin It! To sum up – answer a question or fill a need, choose a title that others would type into a search engine, provide good quality writing with understandable instructions, and make your content unique. If you are writing something that YOU would have wanted to learn before you knew How To do it, you just might have written a winning post! Priscilla, thank you for your comment. I don't know Red Heart has addressed the crochet instructions yet, but I'm just grateful that so many people come to my blog to learn how to work with it! What's That Word I Want to Use?